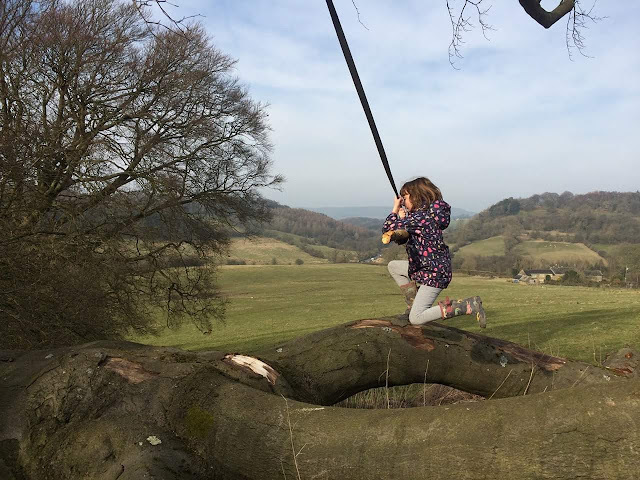 One of my favourite memories of growing up in the countryside is playing on the rope swings in the fields and Gee loves it too, so last week Daddy and Gee set off to build a new one. It is so good to see her outside having fun as at the minute all the SATs revision is leaving her tearful. Nothing beats fresh air and adventure to de stress you! I used to love doing that when I was younger. Rope swings are so much fun. Glad Gee is enjoying herself and that it helped to take her mind off her SATs - hope all goes well with them.